Create professional email marketing campaigns without all the frustrations of formatting text and page layouts with every email. 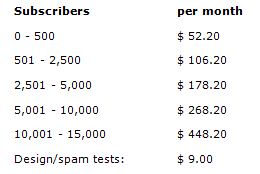 Just enter the text and enjoy professional looking email campaigns everytime. Plus you can even promote your My Booking Manager events without writing a single word! If you ever wanted to know how well your campaign went, now everything can be measured and reported. Find out who read and what links they clicked on which is excellent to find out what your subscribers are really interested in. 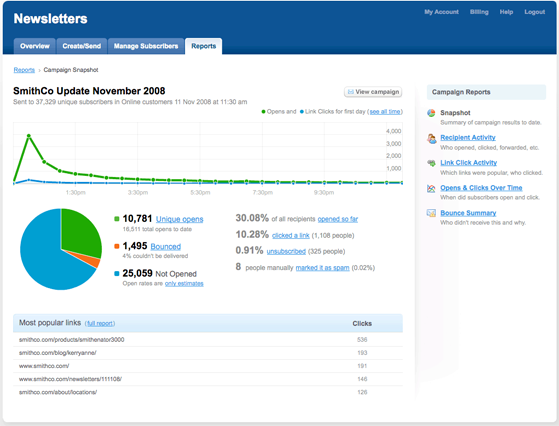 Integrate Google Analytics. Identify who no longer wishes to receive it, which emails were forwarded to a Friend, and what emails bounced, meaning your email box won’t be filled with undelivered messages. Each email is sent as if it was sent directly from the email address you choose. You specify the “From” name, “Subject” and the reply address. Easily set up a form on your web site to collect opt-in names that are directly stored in your email lists. Use it to capture expressions of interest or subscriber lists. You can also configure auto-responders to automatically send an email when someone new subscribes, or send an email once a year on their joining date, etc. This means when your My Booking Manager event is ready to be promoted, your list of pre-qualified emails will be ready to be sent. Great if you send at least once a month. 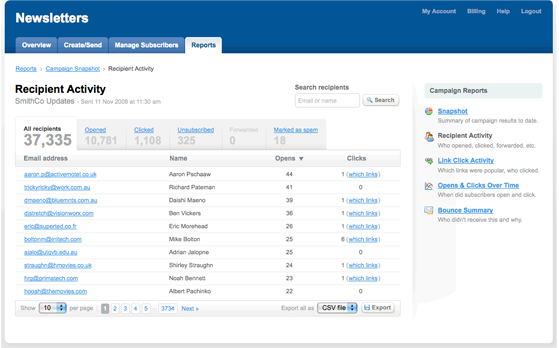 Send up to 2,500 emails across campaigns and autoresponders. Perfect for daily or frequent senders. 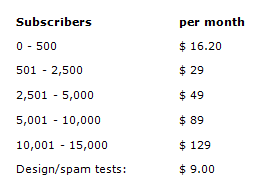 Send unlimited emails and run unlimited free design/spam tests.